First of all – the name! I love to say Tussie Mussie and it sounds like something Beatrix Potter would have come up with. 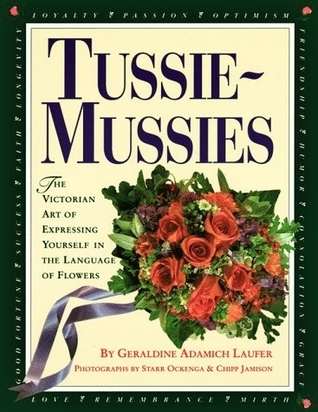 “Tussie Mussie, a nosegay or posie are small flower bouquets that were popularized in Victorian times. The term tussie-mussie comes from the reign of Queen Victoria (1837–1901), when the small bouquets became a popular fashion accessory. Typically, tussie-mussies include floral symbolism from the language of flowers, and therefore may be used to send a message to the recipient”. Or in my words; Tussie-Mussie is an archaic and quaint term for small, round bouquets of herbs and flowers with ­symbolic meanings. 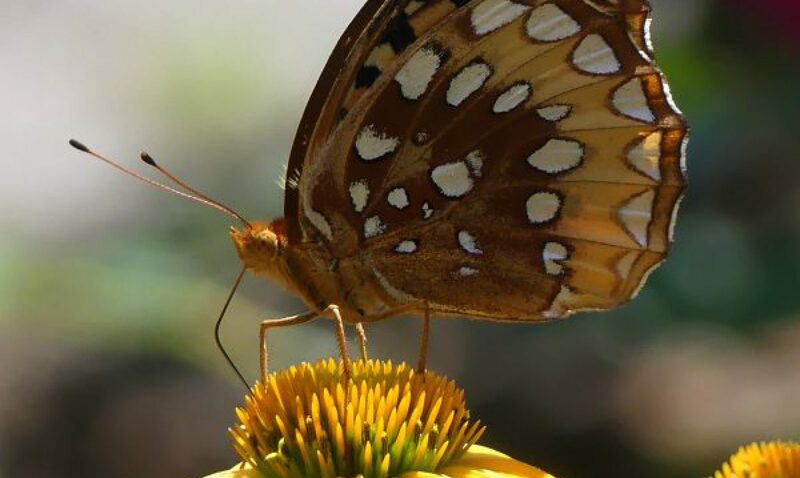 Most people have heard of the language of flowers, Floriography, but are unsure of what exactly it means. It simply means that you can convey feelings and communicate using particular types of plants. Victorians popularized this concept and created “talking bouquets” that could be worn as fashion accessories. Gifts of blooms, plants, and specific floral arrangements were used to send a coded message to the recipient, allowing the sender to express feelings which could not be spoken aloud in strict Victorian society. An antiquated custom, I like to revive this tradition once in a while and make small arrangements with what is on hand in the garden. And since it is fall, my bouquet holder is a readily available gourd. I first encountered Tussie Mussies at a Renaissance Faire many years ago and have created my own for years for gifts, and to decorate the house. Useful as a small arrangement for the bathroom or to welcome a guest, they are small and portable and are usually gathered into a posie holder which can be as ornate as silver or simple as a doily. But for the fall season, I decided to make them in small gourds in keeping with Halloween. Fragrance was the key here; I wanted to really smell the scent of the herb and flowers so chose a lot of very fragrant pieces like lavender, thyme, rosemary, bay, and scented geranium. Each one is personal and unique; every sprig and blossom in each little nosegay conveys a “meaning” in the old-time language of flowers. The silent language of flowers allows you to express poignant and touching sentiments without having to come right out and say them in words. The flowers say them for us. I love making them since you don’t need many flowers and each flower is a star of the arrangement as it is so compact. After cutting a piece of oasis to fit into the gourd and making sure that my cuts were well hydrated, I started to create my gourd tussie mussies. These would make great hostess gifts instead of the obligatory wine bottle. Popular at weddings also, they can be given as bridesmaid gifts, or the bride could carry one for a simple elegant touch. Anyone can create one with a little practice. Follow the tutorial to make your own in a small vase. Set out your materials so you can see the colors together. The container has a wire topped divider to hold the flowers in place. Choose your materials carefully, contrasting the colors and textures to create a beautiful combination. 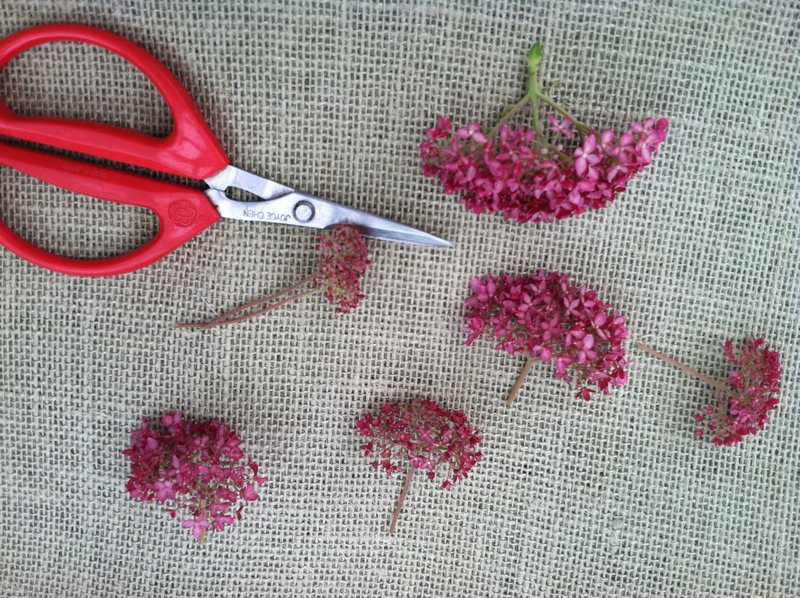 For larger flowers, such as hydrangeas, you can pare the flower down to a smaller more usable size. The hydrangea flower represents devotion which makes it a very appropriate flower for weddings. I love them too. I have several of those flower holders like the one pictured. Mine is green glass. Victorian is such a romantic style and I love it. Thanks for showing how to arrange them. .
Love this one Claire. Thanks for bringing this to my attention. I look forward to creating my own Tussie Mussie! Thanks Linda, they are so easy and elegant.